Bryan was approximately just 4 days old when he was found outside a machine factory in March of 2010. 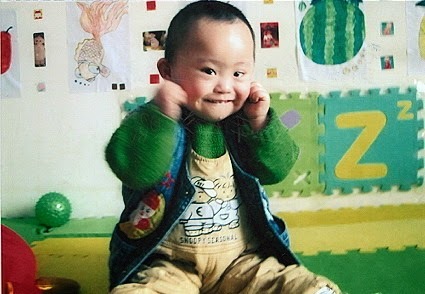 Upon entering the hospital for observation he was diagnosed with Down Syndrome. When I met Bryan he was very curious about us! His sweet little eyes followed us all over the room and it took quite a bit of work to get him to smile at me for a picture. I think he thought I was crazy with all my gesturing and silly noises! When I just sat and smiled at him I got to see his sweet face relax and he seemed to be more comfortable after I stopped trying so hard! Of course as soon as I set my camera down he was grinning from ear to ear! We played with a rattle I had brought and it held his attention for quite awhile as he explored the colors and sounds it made when he was shaking it and dropping it. 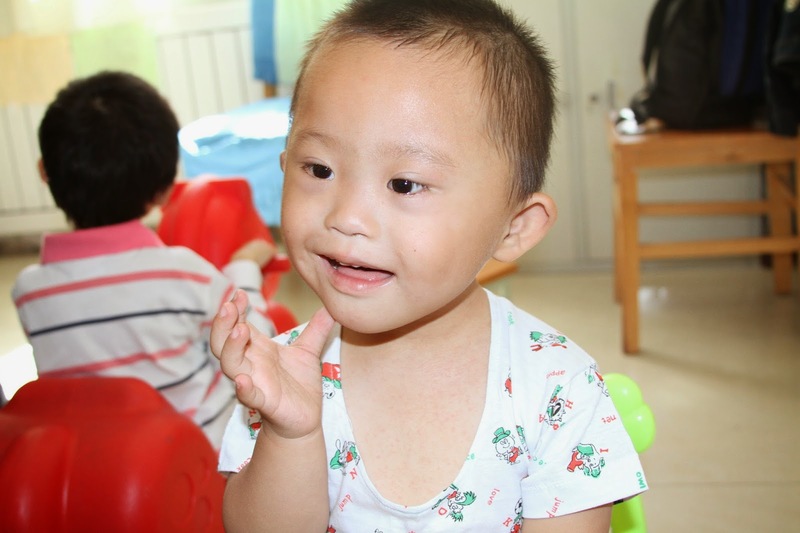 This little guy has changed so much since July and I almost didn’t recognize him in the updated photo the orphanage sent! Bryan lives with a foster family in a nice apartment within the orphanage and attends a Half The Sky Little Sister preschool part of the day. 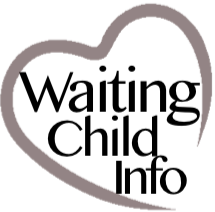 His report from October 2013 states that he is an outgoing boy who has a ready smile and likes to communicate and attract adult’s attentions. When other children accompany him he is very happy. Bryan knows to share his toys with others, likes to play games with the children in his class and can imitate actions and expressions. He can understand oral instructions well and carry them out. He has good vision and watches moving animals and cars. He can point to objects in the room, can understand simple instructions such as drinking, eating, dancing, touching ears, nose and hair. He likes to repeat words, likes children’s songs and knows to be cooperative with simple instructions by gestures, like expressing goodbye and asking for cuddle. Bryan can express ‘no’ by shaking his head. He likes to stand with hands holding onto support and can walk with his hands holding the furniture. He can scribble alone and empty a container. His thumbs and index finger are very flexible and he can pick up small objects with them. He can also open candy and peel an orange. Bryan can build a tower of blocks and can throw a ball forwards. He is able to take off his shoes and socks, put them back on, and can express he needs to use the toilet. Bryan knows to ask for food and drinks when he is hungry and thirsty. 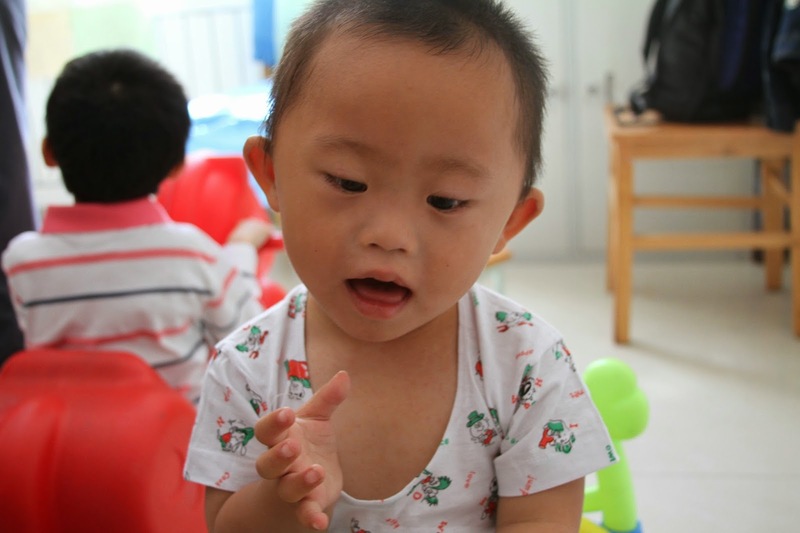 An adoption grant fund has been started for Bryan. To donate please follow the link by clicking HERE.